If you’re shipping food, medical supplies, or other perishable or temperature-sensitive items, you’ll want to use insulated shipping boxes. These boxes keep your product safe and prevent spoiling during the shipping process. Our insulated shipping kits are available in a variety of sizes and with a number of different options, so you can be sure to find one that suits your needs. We understand the importance of proper packaging. Our company is designed to support your business and help you succeed. 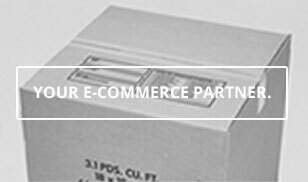 We know that the way your product arrives to your customer is critical. If a package is damaged, disturbed, or spoiled in any way, that could potentially disrupt the relationship you have with your customer. This aspect of the shipping process becomes even more important when you are shipping perishable items. If a customer receives a food item that has spoiled, your business will suffer. If you ship medication, medical supplies, or other such items, it’s even more critical that your shipment arrives safely. These items can (obviously) lose effectiveness – and even potentially be dangerous - if they are not shipped in the correct packaging. To make sure that your shipment arrives as it should, trust the Packaging Company. We have a proven history of providing high-quality packaging at affordable prices. Our team is completely dedicated to offering excellent products and superior customer service to our customers. When it comes to insulated shipping kids and insulated shipping boxes, we have the products you need. Our boxes are lightweight, sturdy and reliable, so they keep your shipments safe. Plus, they have tight-fitting lids to keep everything secure. Our boxes can be used multiple times and are clearly marked with “perishable” and “rush” lettering as well as “this side up” notices and arrows. We strive to ensure that all necessary precautions are taken to protect your products during shipping.